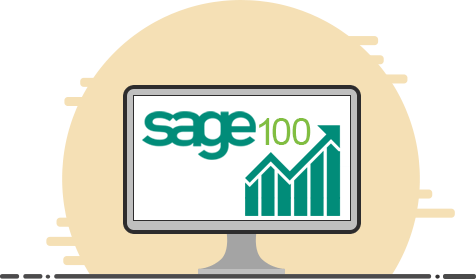 With your Sage 100 ERP hosted on our cloud, you can manage your business processes more effectively. Our hosting solutions keep your different business departments and staff in sync even if they are located at various locations while you remain aware of business performance with better insights to make decisions. With the ease of collaboration and add-on integration, all your business information is processed in a streamlined way and enhances the efficiency of your team. 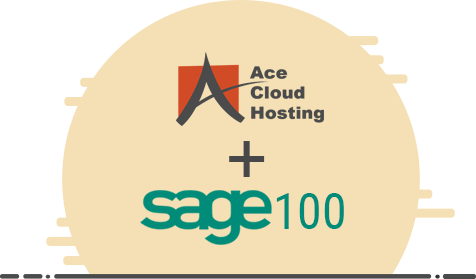 Host Sage 100 ERP with Ace Cloud Hosting and access to the application will be available for you wherever you want. Our solutions are compatible for cross-device operations, allowing your staff, clients, vendors, and others to work freely over their desktop, smartphone, laptop, or tablet. With the real-time collaboration and customizable access permissions available at different levels, every department remains updated with the information relevant for them. Gain hands-on experience of our hosting standards without paying anything with our 10-days free trial offer. Multiple failproof hosting technologies to ensure that hosting services are always up and running for you. I cannot say enough good things about this company. We switched servers and they helped us perform a Sage 100 ERP upgrade from 2014 to 2017 and they have done an all around fantastic job! They have been extremely responsive, helpful, and kind in their dealing with me as the Administrator as well as our individual users. So far I would say that their services are amazing and that the pricing is phenomenal as well.